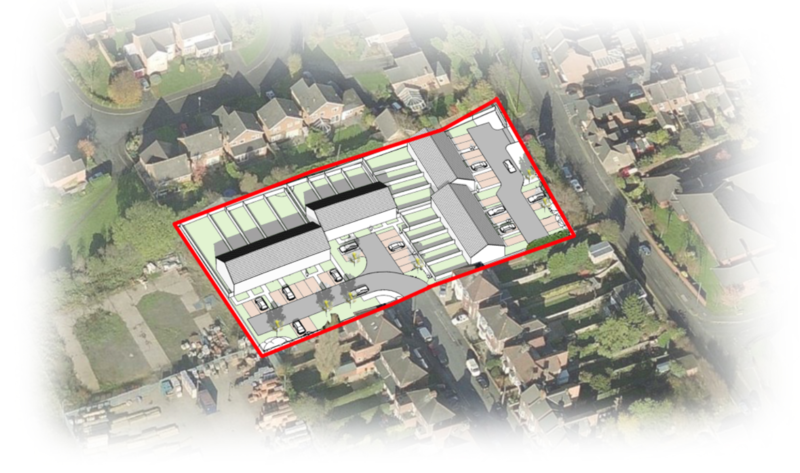 In June/July of last year planning permission (ref:W/16/0482) was granted for the redevelopment of the former Dairy Crest premises at Quarry Street and Old Milverton Road, Leamington Spa. 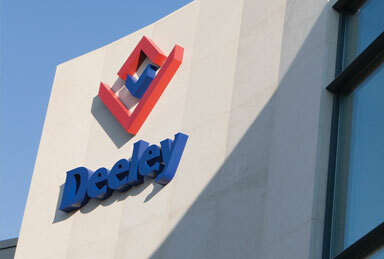 Deeley Group has purchased the site with the benefit of this planning permission but we will shortly be seeking to amend the detail of the scheme as well as addressing those planning conditions which are required to be discharged prior to commencement on site. The amended scheme is similar in general form to the approved scheme with four terraces of homes (in groups of two) with each pair of terraces accessed off the roads that they ‘front’ – Quarry Street or Old Milverton Road respectively. The informal footpath link that exists between Quarry Street and Old Milverton Road will be retained on completion although there may be periods, as work proceeds, when that link is closed for safety or operational reasons. The key differences are that the new scheme proposes just 9no. two bed and 9no. 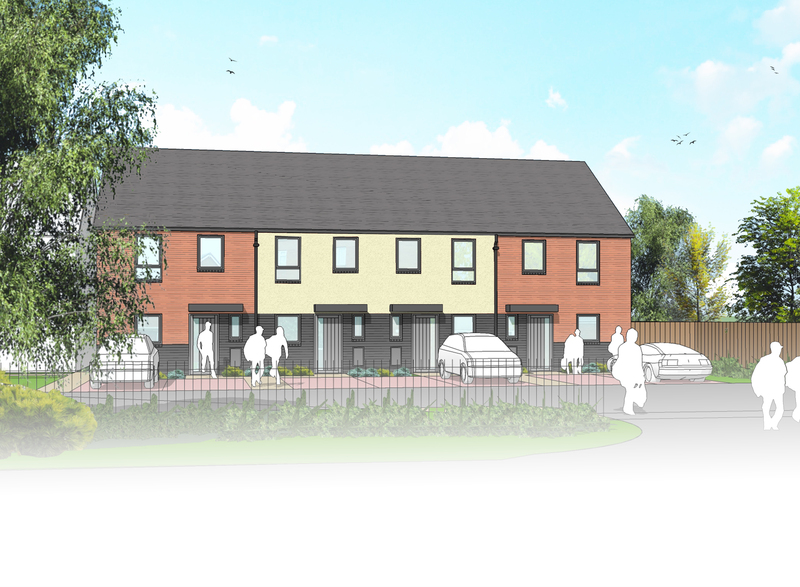 three bed homes which are all two storey – there are no four bed or three storey homes. 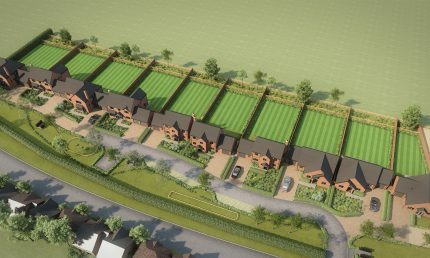 Parking will be provided at the front of each dwelling avoiding the need for the residents of the homes in Old Milverton Road to use Quarry Street as an access and park at the rear of their homes as was the case in the approved scheme. The final key, very positive, difference is that all of the homes in the new scheme are planned to be ‘affordable’ with four homes for rent and fourteen homes being sold as Shared Ownership. Before we start work we will submit a construction plan that details how we intend to demolish the existing buildings and build the new homes with hopefully no noticeable disruption to the daily lives of local residents. Our site and office based staff will be accessible throughout the process and will endeavour to keep residents informed of progress and key events on site as well as being available to respond to any reasonable concerns that they may have. In the short term, should you wish to discuss any aspect of our proposals please contact me via one of the methods listed below. In due course you may be notified by the local authority about the details of our application and you may be able to make representations to the planning department and follow the application’s progress on Warwick District Council’s planning portal. 2 bed homes 9 no. 3 bed homes 9 no. Homes for rent 4 no. Homes for shared ownership 14 no.